$950 Million Worth of Self Storage Properties in 450 Transactions. Thinking of Selling Your Self Storage Facility? From Listing to Settlement, Rely on Our Expertise. A premier self storage broker requires an extraordinary amount of experience. The members of IRE’s brokerage team have owned, managed and built self storage facilities with more than 75 years of combined industry experience. We understand the problems owners face because we have faced them ourselves. Through our vast involvement in the industry, we are primed to help owners sell self storage properties at the highest market price. Our brokers handle self storage transactions ranging from $500,000 to $65 million. IRE offers a full range of brokerage services. We start with a comprehensive free valuation of your self storage property. A broker will personally visit your site to get an overview of the location, upkeep, building materials and security. Using current market value, appropriate sales comparables and our secret formula, our broker will determine the accurate expected sale price for your self storage facility. Since 2013 we have achieved an average sales price of 99% of broker valuation and 94% of list price. Our team of brokers drives in excess of 200,000 miles a year to meet each and every owner at their site to perform valuations and to list property for sale because we believe that this is the only way to understand the facility and market being evaluated in the valuation or selling process. The IRE Brokerage team has more than 75 combined years of self storage experience in the fields of operations, construction, brokerage and ownership. We’ve managed more than 200 facilities, built in excess of 50 facilities and sold more then 450 properties over the course of our experience. There is no brokerage team in the country that meets our combined experience and understanding of all facets of the self storage industry. 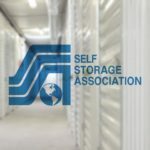 We firmly believe in telling you the truth about the value of your storage facility and the options you have as a self storage owner. The valuations we provide are an honest and professional representation of your facility’s value, the current state of the market and the options you have today and looking into the future. We will advise you if you should hold, sell, expand or consider value added options for a future sale. Typically, the first meeting with a member of our brokerage team is the beginning of a life long relationship with IRE. We not only provide you with an accurate valuation, and we work with you to make sure that your facility is in a good position to sell when the time is right. The self storage team of brokers is highly respected in the industry amongst owners, vendors and investors. The industry looks to our team to guide them on market trends, future investments and day to day guidance on the latest technology to help with their operations. IRE has the most experienced self storage brokers in the industry. We help you understand the advantages of selling your facility and timing the market to get the highest possible return on your investment. How Can We Better Assist You? IRE’s brokerage service doesn’t stop with a listing agreement. Each broker works with a dedicated marketing expert and brokerage analyst to develop a detailed Offering Memorandum to present to the top buyers in the self storage market. IRE brokers recognize the intricate details involved in owning and operating a self storage facility. 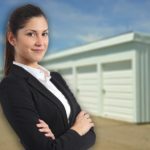 To best understand your unique property, we engage in a 5 step process to sell the self storage portfolio gaining a maximum return for the seller. There are many reasons that owners may consider selling their facility. Investment Real Estate specializes in representing sellers and assisting in making an intelligent next decision. 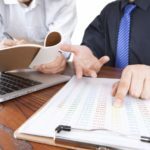 Through our vast business networks, we can connect you with financial professionals who will assist you, as the seller, in minimizing the tax impact from a sale and suggest alternative ways to mitigate some of the tax burden a sale would create. Bethel Self Storage Park is comprised of 11 buildings and opened in 2004. The facility consists of morethan 200 storage units, including outdoor parking spaces, carports, barn storage units, a rental house and an apartment above the rental office as well as a box truck.